In this blog, I am going to explain some of major differences between two famous front-end framework i.e Vue.js and Angular. 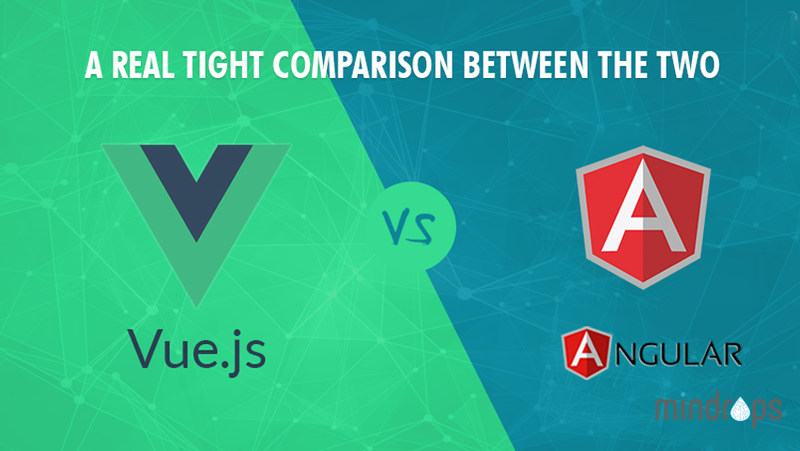 We will also try to find which one is better, Vue.js or Angular for web development. Steps to setup using Command Line Interface (CLI). Angular 1, which is also known as AngularJS was first version for this technology. Angular 1 was followed by Angular 2, which was launched with tons of changes when compared to its predecessor Angular 1. Angular 4, which was released on March 23, 2017, is a lot similar to Angular 2. It comes with a “backward compatibility” feature which allows easy interaction between Angular 4 and Angular 2. Similarly projects developed on Angular 2 will work seamlessly with Angular 4. Although Angular 4 works on the same structure as Angular 2 but it is much faster as compared to Angular 2. Angular 4 uses TypeScript 2.1 version whereas Angular 2 uses TypeScript version 1.8. This brings a lot of difference in performance. AngularJS is based on the model view controller, whereas Angular 2/4/5 are based on components structure. Angular 4 project can be setup by using angular-CLI which is easy to install. To get started with the installation, we first need to make sure that we have latest version NodeJS and npm installed in system. If NodeJS is already installed, you can check the version of NodeJS in terminal using the command ‘node –v’. Similarly to check the version of npm, type command ‘npm –v’ in the terminal which will display the version of npm. Now that we have NodeJS and npm installed, let us run the angular CLI commands to install Angular 4.
ng serve //This command builds the application and starts the web server on port 4200. VueJS has lot of similarities with Angular. Directives such as ‘v-if’, ‘v-for’ are almost similar to ‘ngIf’, ‘ngFor’ of Angular. They both have a command line interface for project installation and to build. VueJS uses Vue-CLI and Angular uses Angular-CLI. Both offer two-way data binding, server side rendering, etc. Your applications need to have a fast initial loading time i.e. small bundle size, as well as great runtime performance in order to perform well. Angular is slower than Vue.JS and it has a big bundle size when it comes to smaller apps. However, Angular is a faster framework with great runtime performance when it comes to complex and larger apps. The performance of Vue.JS might change when it comes to bigger apps focused on specific tasks. Therefore, the performance results need to be put into perspective and hence there is no clear winner in this dimension. This is because size and type of application significantly impacts performance of a framework. At present, Angular is more popular than VueJS as most of organizations use Angular, making it very popular. Job opportunities are also more for candidates experienced in Angular. However, VueJS is taking its place in the market and can be considered as a good competitor for Angular and React. VueJS can be easily merged with any other big project without any issues whereas Angular will not be easy to start working with for any other existing project. We started with AngularJS, moved to Angular 2 and now its Angular 4. AngularJS and Angular 2 are completely different. Project application developed in AngularJS cannot be converted to Angular2 because of the core differences. The recent version of VueJS is 2.0 and it is provided with backward compatibility. Also it provides good documentation, which is very easy to understand. Angular probably has the steepest learning curve because you need to learn a new language called TypeScript barring everything that you might have used earlier in JS development such as modules or components. 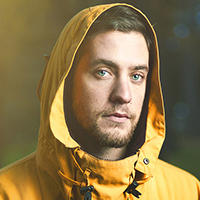 In the words of Evan You, the founder of Vue.js, unlike Angular, Vue.js is a more flexible and less opinionated solution. Thus, it allows you to structure your application the way you want it to be rather than being forced to the way of framework. It is just like an interface layer which you can use to create light features in web pages instead of creating larger single page applications. Hence, Vue.js is considered more balanced as it doesn’t put several implications like Angular and empowers you to build applications your way instead of ending up doing it the Angular way. Larry has made a rich contribution in handling various tech projects and has rubbed shoulders with some of the biggest names in technology. He is tech buff and loves to explore about emerging technologies.